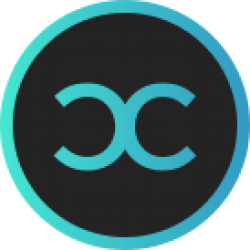 We are seeking a media & content lead that can create video, audio, and written content for CoinCircle’s rapidly growing media presence. The ideal candidate is a passionate creator with an entrepreneurial mindset who has demonstrable experience planning and creating high-quality content. We are looking for individuals who have a deep understanding of blockchain and cryptocurrencies and can help create both educational and promotional content to convey that knowledge to a wide audience. We are looking for individuals who feel comfortable shooting and editing video and stills. We are looking for someone to capture every opportunity to create high-quality and informative content, whether it be of our token sales, profiles of our advisors, interviews with industry leaders, or any other interesting facet of our rapidly growing company. Please include a link to your reel in your bio to showcase any past work. CoinCircle provides solutions for every part of the blockchain ecosystem – from enterprise tokenization, to a wallet and trading platform, to presale opportunities and enterprise APIs for companies to easily interface with the blockchain. CoinCircle was founded in 2017 and is headquartered in beautiful Santa Monica, California. Our mission is to create a secure, compliant, and easy to use platform that will give the world complete access to cryptocurrencies and blockchain technology. We are developing the infrastructure and simplifying the processes to allow businesses everywhere the opportunity to participate in a new, more open financial system. CoinCircle provides solutions for every part of the blockchain ecosystem – from enterprise tokenization, to a wallet and trading platform, to presale opportunities and enterprise APIs for companies to easily interface with the blockchain. 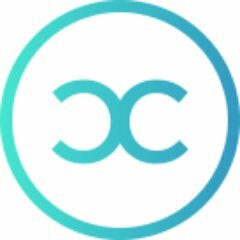 CoinCircle was founded in 2017 and is headquartered in beautiful Santa Monica, California. Our mission is to create a secure, compliant, and easy to use platform that will give the world complete access to cryptocurrencies and blockchain technology. We are developing the infrastructure and simplifying the processes to allow businesses everywhere the opportunity to participate in a new, more open financial system.